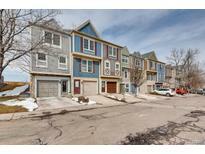 Below you can view all the townhouses for sale in the Highland View subdivision located in Centennial Colorado. 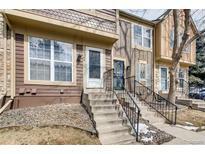 Listings in Highland View are updated daily from data we receive from the Denver multiple listing service. 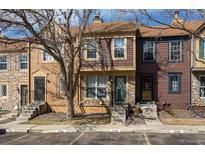 To learn more about any of these townhouses or to receive custom notifications when a new property is listed for sale in Highland View, give us a call at 720-924-7403. This is a must see home! MLS#9645283. HomeSmart Realty Group. Hurry before this place is sold! MLS#5628706. RE/MAX Professionals. Located just north of C-470, enjoy immediate access to the newly developed Streets at Southglenn, convenient shopping at Park Meadows, and quick access to the mountains and downtown. Welcome home! MLS#7316958. Greenwood Estates Realty LLC. Don't miss this opportunity to live in one of Centennial's hottest neighborhoods. MLS#6902175. HomeSmart Realty Group. Backs to Open area * beautiful Mountain View * New interior Paint * New Carpet * New Dishwasher * Washer & Dryer included * Stove & Refrigerator * Wood Burning Fireplace in Living Room * 2 master bedrooms with bathrooms upstairs * Refurbished Deck * small fenced Yard * Eating space in Kitchen * 1 car attached garage + Private Parking space in front of unit * storage in basement * All appliances stay * MLS#2809235. A House-Sold Name.